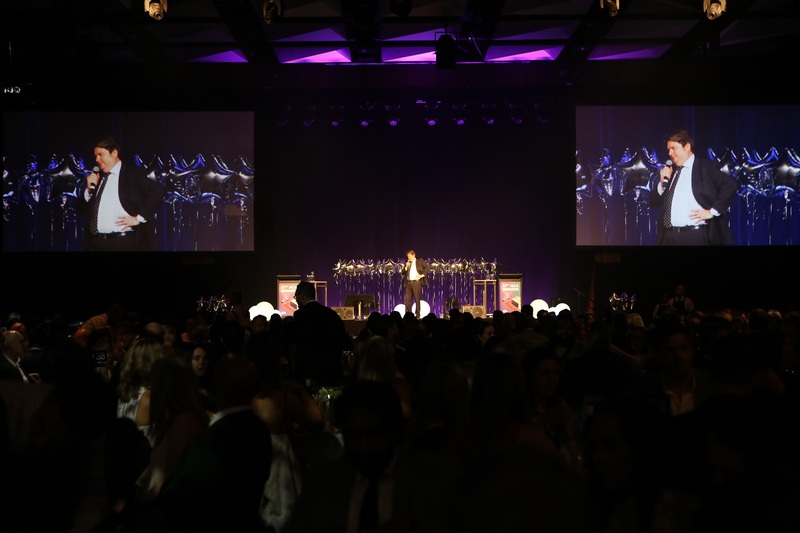 The Australasian Catalogue Association (ACA) hosted its 27th annual ACA Awards last Friday night. The awards highlighted a strong focus on effective marketing with the addition of four new categories: Point of Sale, Customer Insights, Direct Mail and Corporate Social Responsibility. The event, held at the Melbourne Convention and Exhibition Centre, celebrated catalogue marketing as a strong channel across Australia and New Zealand. Aussie comedian Dave O’Neil (pictured below) kept the room entertained throughout the 41-category award ceremony. Woolworths, Kmart and Vodafone Hutchison Australia made history by being the first-ever winners in the recently added categories. Woolies was triumphant in the Corporate Social Responsibility category for its ‘Marrickville Metro’ catalogue. The supermarket giant developed a catalogue to educate consumers on their 20 commitments to ensure corporate responsibility. Woolies leveraged catalogues and letterbox marketing knowing the medium would enhance the shopping experience and assist in the path to purchase journey. Kmart took out the Marketing Effectiveness category Customer Insight for conducting qualitative research to better understand how and why its customers interact with catalogues. From this, Kmart revamped its Living catalogues to help customers better identify the key trends for the season, while creating greater incentives to keep reading. In particular, the ‘February Inspired Living’ catalogue was a resounding success, achieving a 27 per cent uplift in incremental sales. Vodafone won the Retailers category for Point of Sale/In-Store Display for the launch of NBN across selected retail stores. Print achieved success as a part of a multi-channel campaign delivering a 10 per cent increase in connections for Vodafone and an eight per cent increase in conversions from the previous year. The night was not all awards though, as the major announcement of the evening was that the ACA will merge with APIA and TSA Limited to form The Real Media Collective. ‘Real’ media pays homage to the physical nature of print, and ‘real’ connecting with real results, return on investment, engagement and activation. 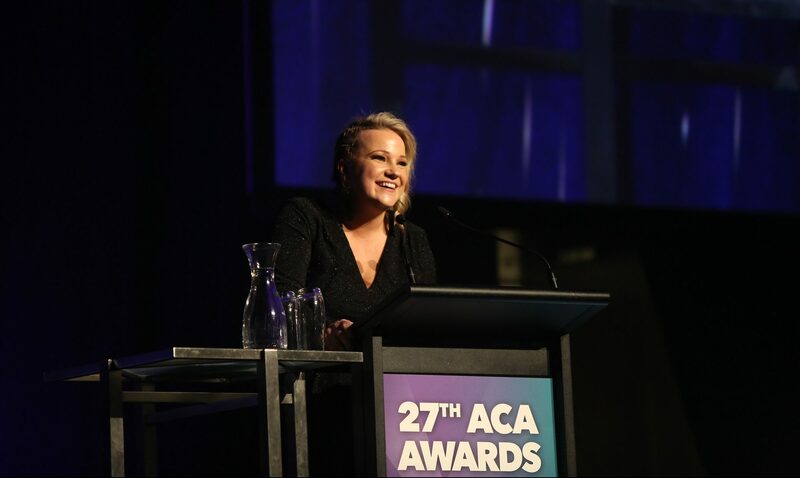 ACA chief executive Kellie Northwood (pictured below) said: “Tonight is an important night for our industry as we celebrate our united front heading into the next era as The Real Media Collective. “As The Real Media Collective we will be working with our member partners to deliver research linked to customer insights, experts from around the world to speak at events, education and training, workshops and more for our industry to continue their investment in this valuable and effective channel. Northwood said the was thrilled with the number of attendees at this year’s ACA Awards. “We are also excited to have launched Point of Sale, Customer Insights and Corporate Social Responsibility as new categories to showcase our efforts to adapt and expand to the ever-growing industry,” she said. To view the full list of winners and finalists from the 2018 ACA Awards, click here.